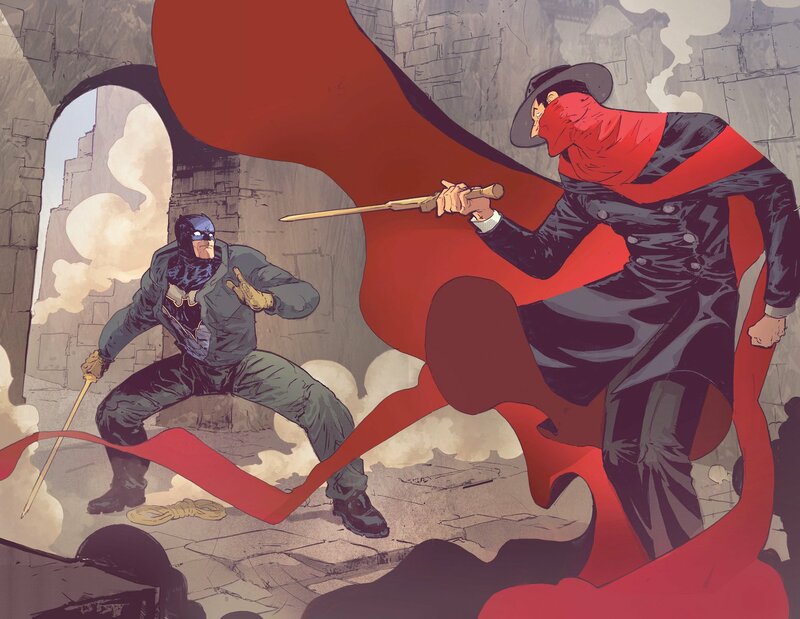 Batman/The Shadow #2 is an improvement on the already strong first outing, as it delivers more from the titular duo and moves the central mystery into intriguing new places. 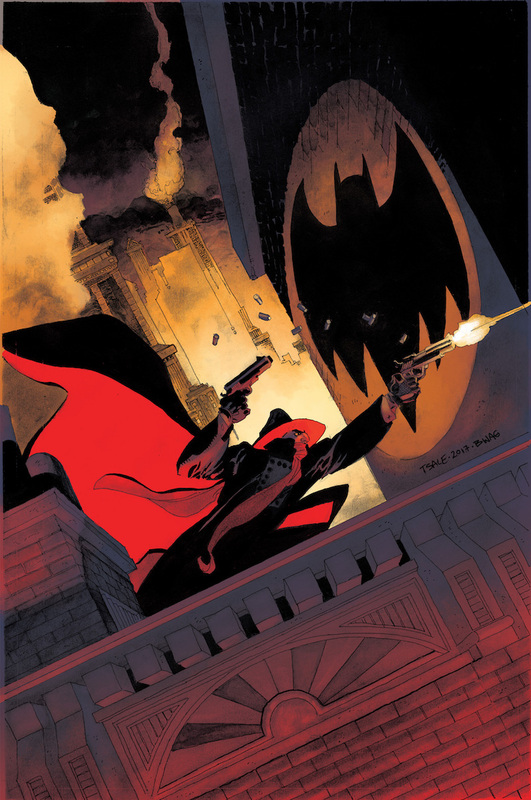 Last month’s opening issue of Batman/The Shadow, a rare cross-company crossover from DC and Dynamite Entertainment, kickstarted the series with a bang as it delivered a thrilling throwback to the days of good old-fashioned pulp fiction mystery. It did hold back on the plot a bit too much, however, and lacked a proper team-up between the titular heroes. Thankfully, issue #2 sorts this out as the narrative shifts into the next gear. This time around, the pulp fiction stylings of the first issue are swapped for a deeper delve into the Batman mythology. In particular, there’s an intriguing retcon about Batman’s origins that’s dropped in a throwaway manner which we hope to have clarified in future outings. 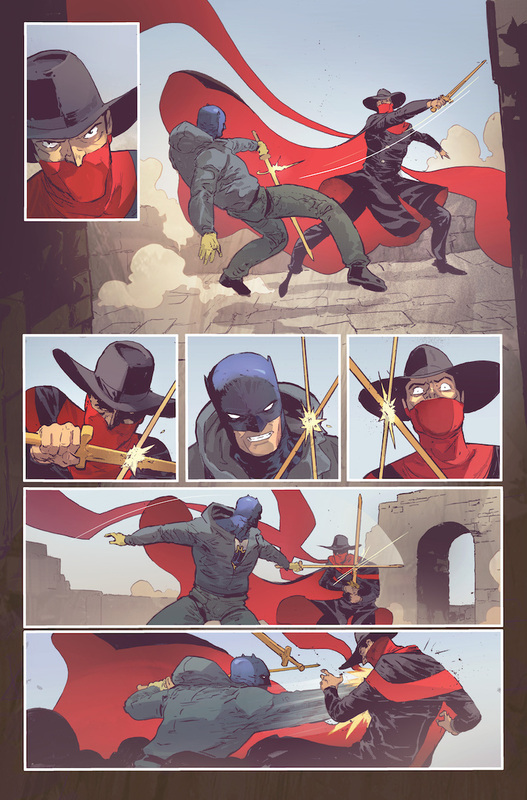 That said, we also get a brief run-through of the Shadow’s own origin story in order to bring fans unfamiliar with the character up to scratch. 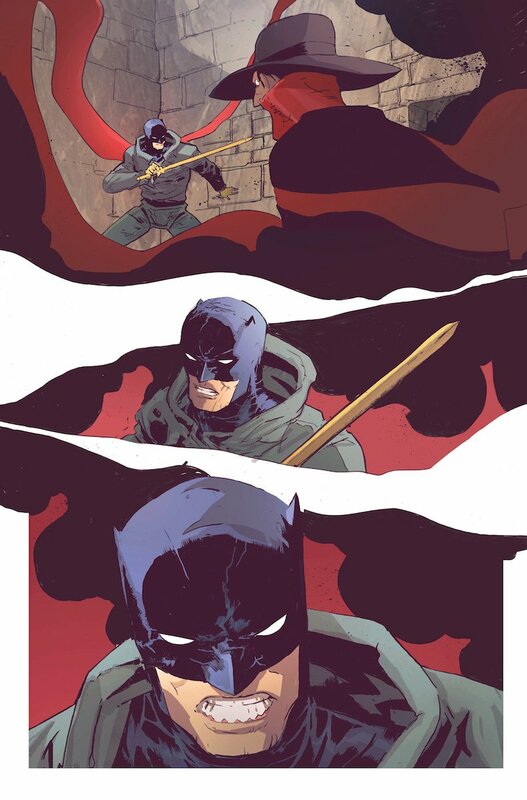 It’s a terrific idea from writers Steve Orlando and Scott Snyder to put Batman on the back foot for once and have him at a loss to explain such an inexplicable Shadow – an immortal master of disguise with powerful psychic powers. For once, we the readers are on the same level as Batman, as he tries to unearth the supernatural mystery unfolding in his home town. 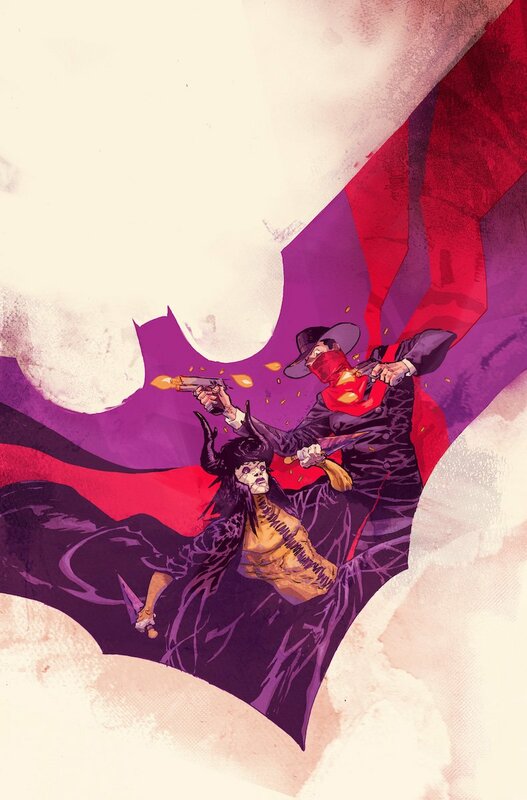 As strong as the writing is from those two DC stalwarts, it’s fair to say that what you will really take away from Batman/The Shadow is the stellar artwork. As I said in my last review, Riley Rossmo is the perfect choice of artist for this project. His heavily-stylized, highly-detailed technique fits the dark, grim yet otherworldly ethos of the story. In particular, he clearly has a blast bringing the Shadow to life, with his sharp features and his angular, never-ending red cape. Not that Batman gets the short shrift, as we get a couple of interesting variations on the Bat-suit and there’s also a memorable scene of him suiting up in almost Superman-like fashion. Rossmo is likewise excellent at action, with the opening brawl between the two vigilantes being the highlight of the issue. 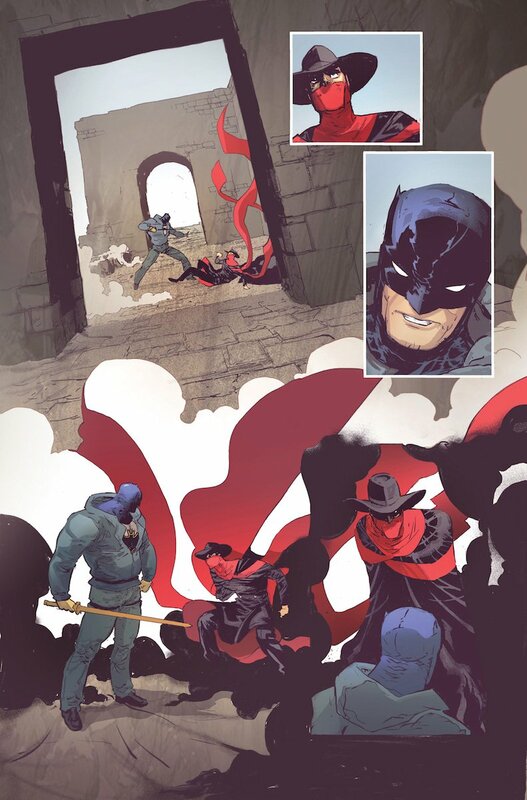 Batman/The Shadow #2 is an improvement on the already strong opening issue as it introduces some intriguing new elements – including an enigmatic antagonist – as the story heats up. The dynamic duo of writers are on top form and the artwork is off the charts. 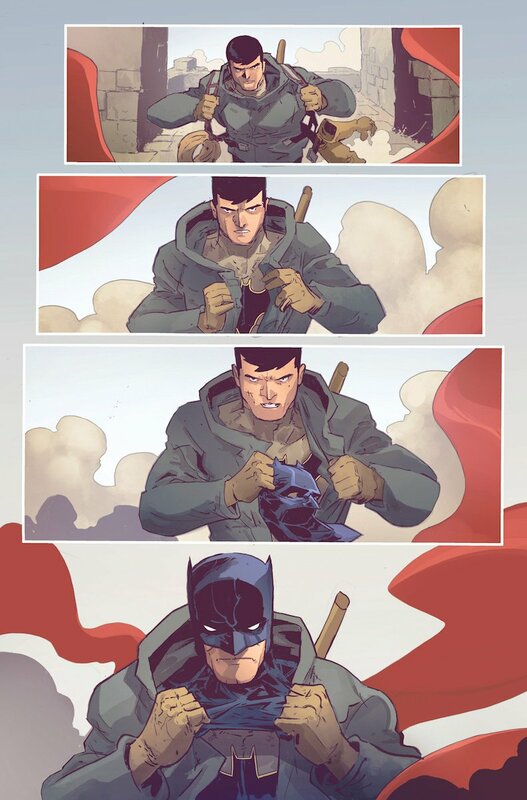 Combining that with the issue’s final reveal, which promises an appearance from a beloved Batman character in the next book, and you have a killer second outing.